Tires grip the road and make sure you have a safe, smooth, and pleasant ride on all the surfaces you travel. High-quality tires is absolutely mandatory for your safety and for the longevity of your Nissan. Good tires can keep you safe from harm. It’s important to keep them in the best shape you can and inspect them regularly for wear, damage, and tread depth. If you are looking for a place to get reliable Nissan tire service near Providence, stop at Speedcraft Nissan in West Warwick. Speedcraft Nissan, Exit 8 off RT 95 in RI, we’re committed to make the replacement of your vehicle’s tires as hassle-free as possible. We pride ourselves on giving all of our customers the best service and results in the Providence area. Not all vehicles are created equally. You can’t just have any old tires on your Nissan. You need tires that are meant for each model. The same goes for any Nissan part you may need to replace. 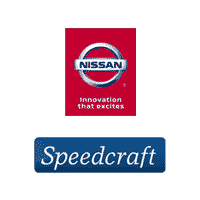 At Speedcraft Nissan we use authentic Nissan parts that were developed and engineered to be placed into your specific vehicle.